Maurice Van Essche was born in Antwerp, Belgium. His family moved to Brussels when he was 5 years old. In 1924 he studied art at the Brussels Academy under James Esnor. 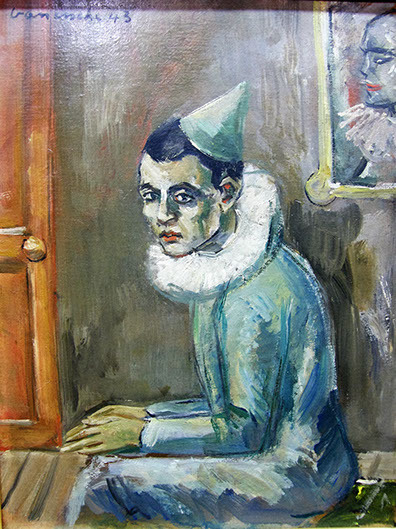 In 1925 he interrupted his studies to earn a living in a stained glass studio which had some influence on the development of his painting style. During 1930 he joined the group “La Jeune Peinture Belge” and won a silver medal at the International Exhibition, Antwerp. After getting married in 1933 he studied under Matisse in the south of France. He also held group and solo exhibitions in Paris and several Belgian states. 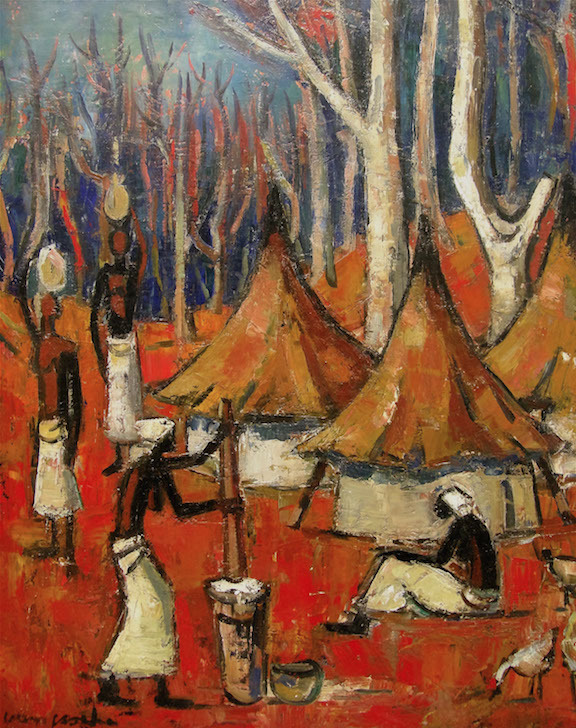 In 1939 he underwent a government sponsored painting expedition to Belgian Congo. A year later he was exiled by the German occupation of Belgium and subsequently moved to South Africa, where he temporarily stayed in Cape Town. This was when he started exhibiting in South Africa. From 1943 – 1945 he lectured at Wits Tech Art School and in 1946 he founded Continental School of Art in Cape Town. He was a foundation member of the International Art Club, where he and fellow members exhibited in Turin, he was later elected chairman. In 1951 Van Essche was awarded the title of Chevalier de Leopold II by King Badouin of Belgium. From 1952 – 1970 he was involved as a lecturer and later a professor at Michaelis School of Fine Art. In 1971 he departed for Europe and settled in France. 1972 Maurice Van Essche was awarded the title Officer of Order of Leopold II, by King Badouin of Belgium.